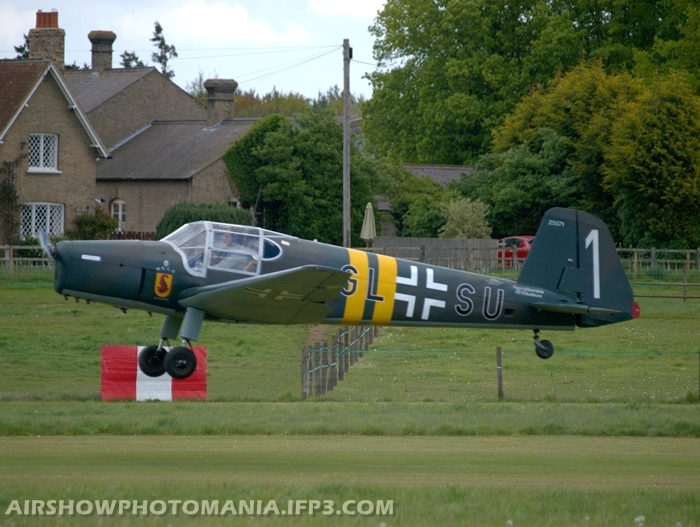 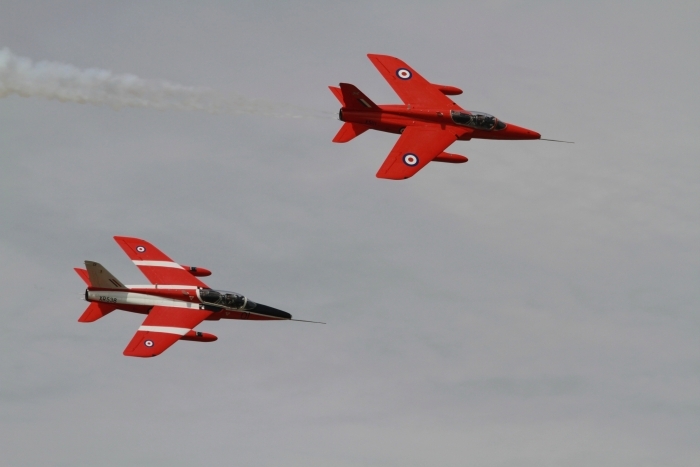 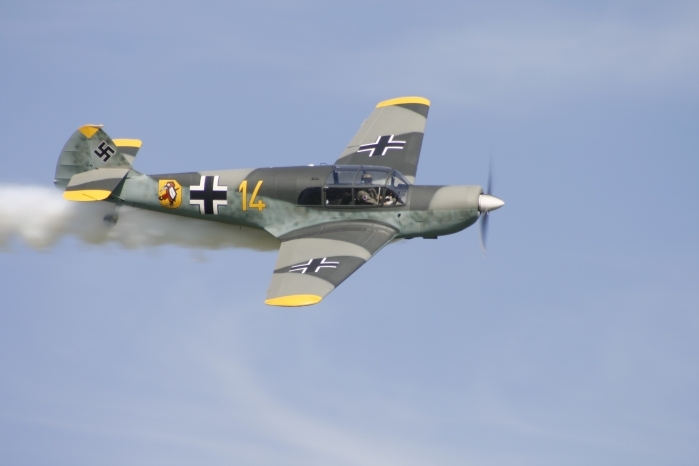 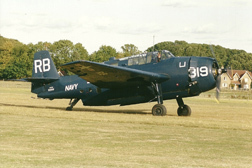 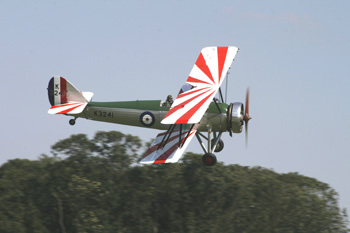 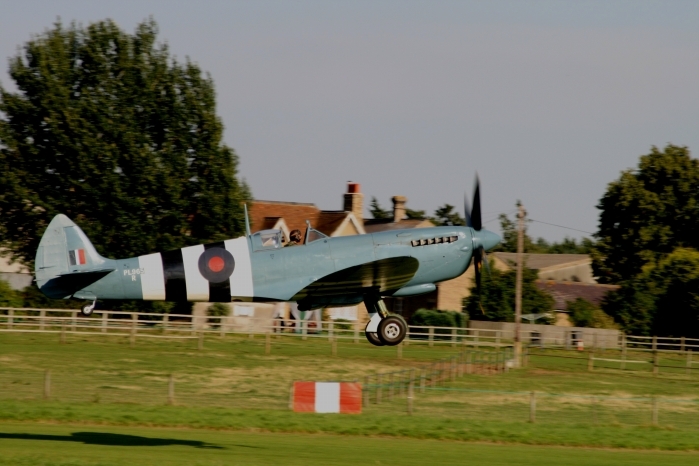 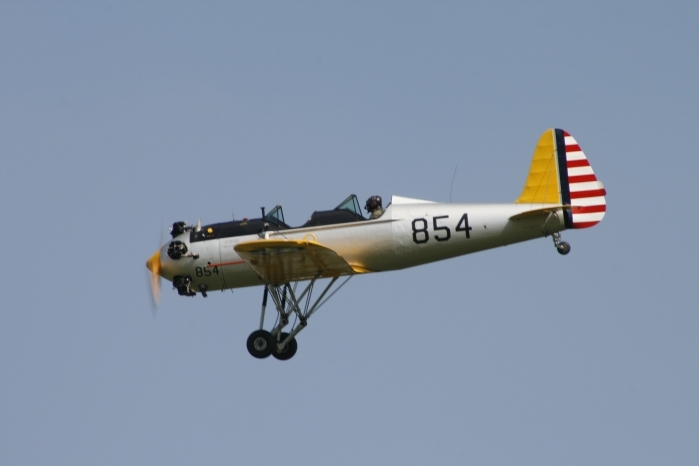 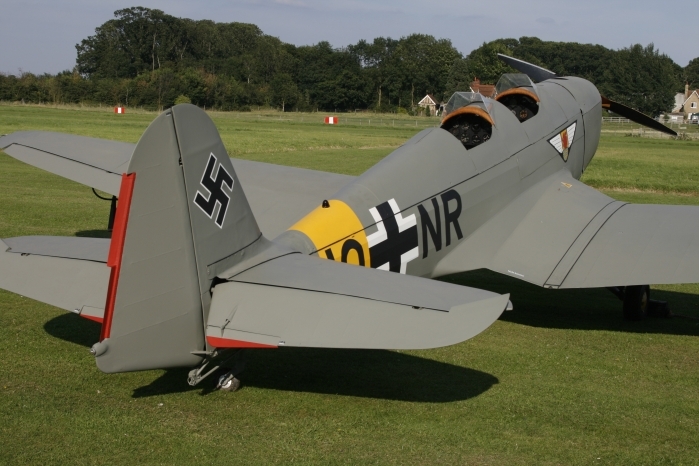 Old Warden situated in Bedfordshire is a host to a number of air shows throughout the flying season. 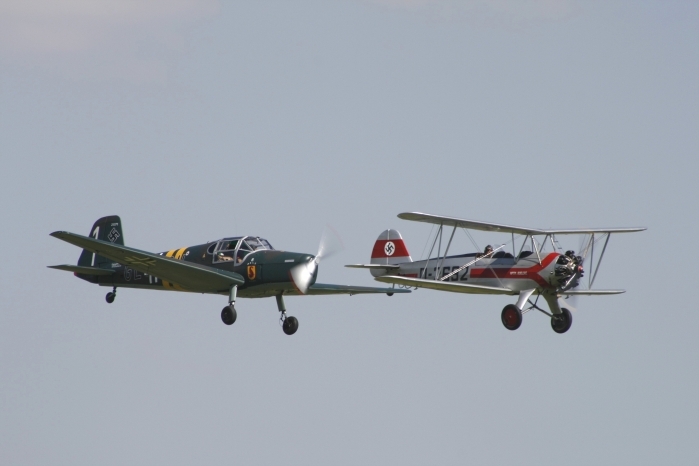 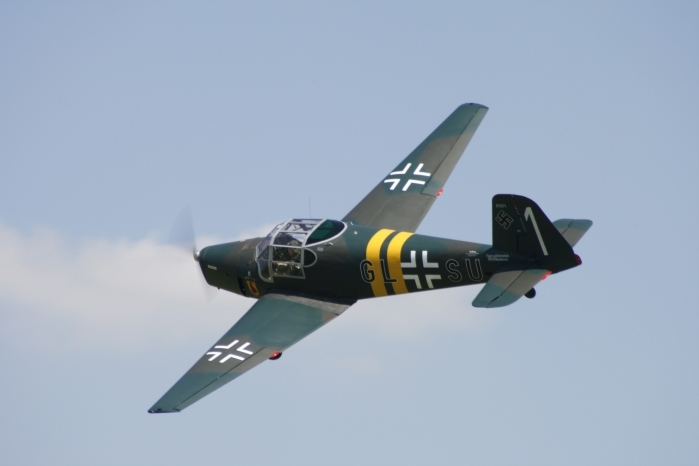 With unique aircraft partaking from The Shuttleworth Collection as well as visiting aircraft, this makes the Old Warden Air Shows an event not to be missed. 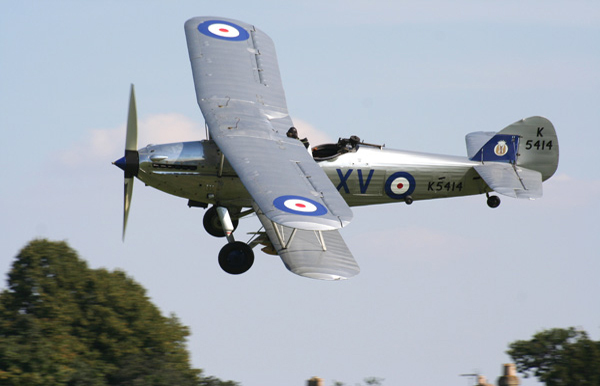 With the added bonus of a look round The Shuttleworth Collection's hangars, a browse round the well stocked shop and visitors centre, or maybe some refreshments in the well appointed restaurant, makes a visit to Old Warden a fantastic day out for all the family. 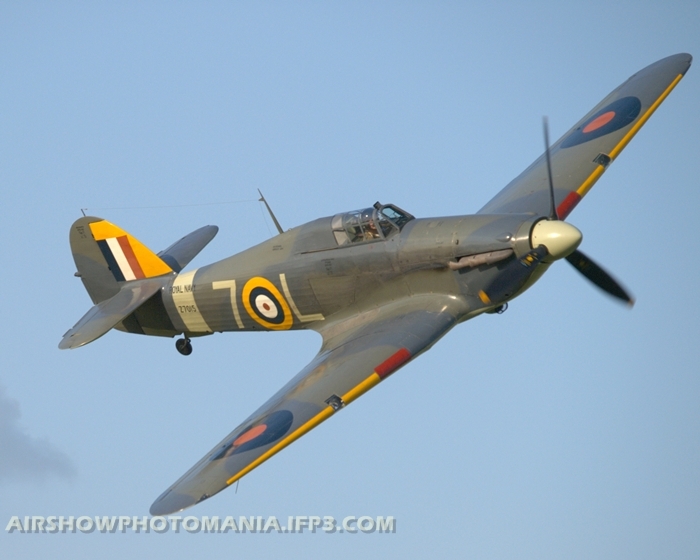 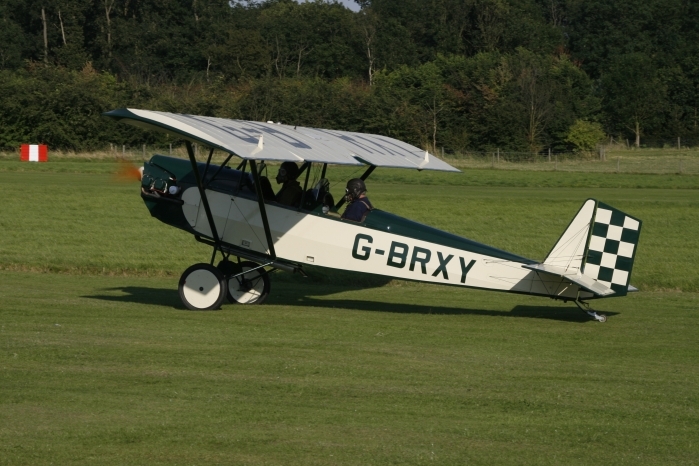 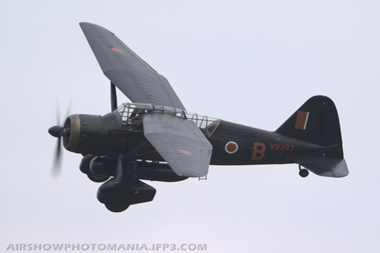 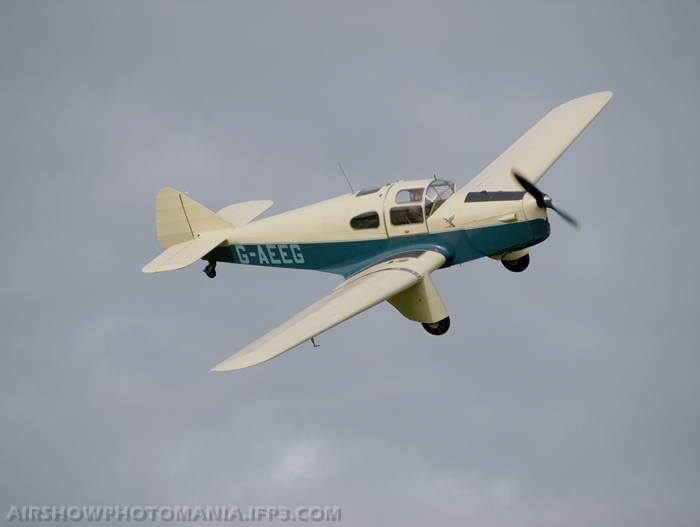 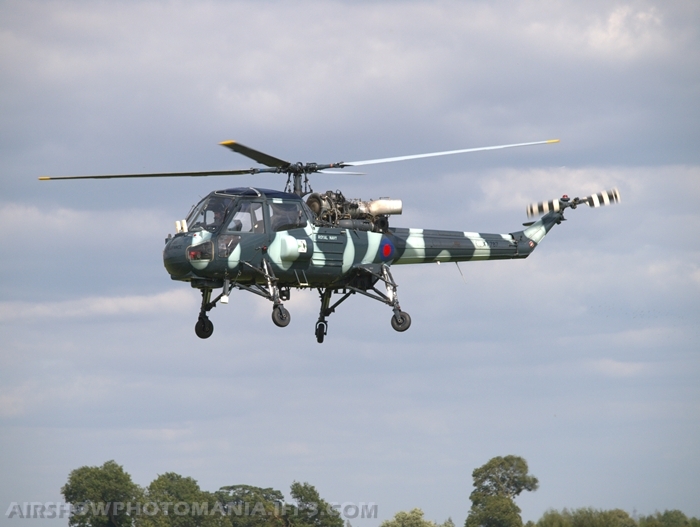 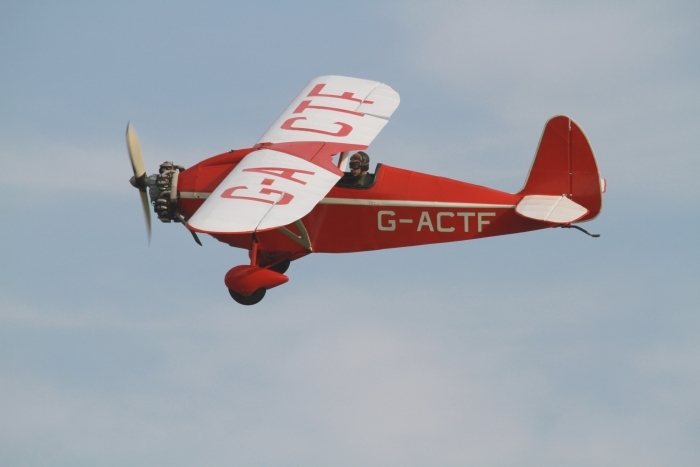 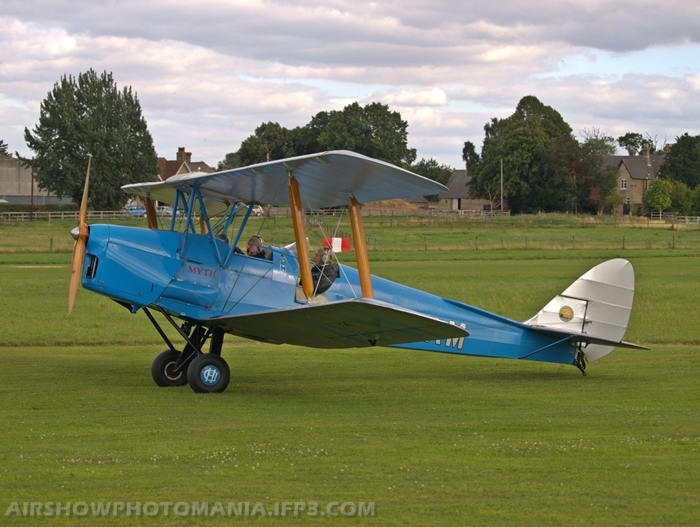 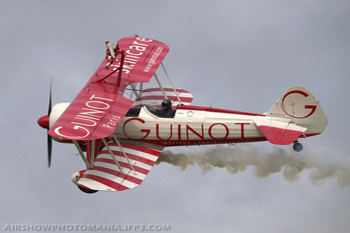 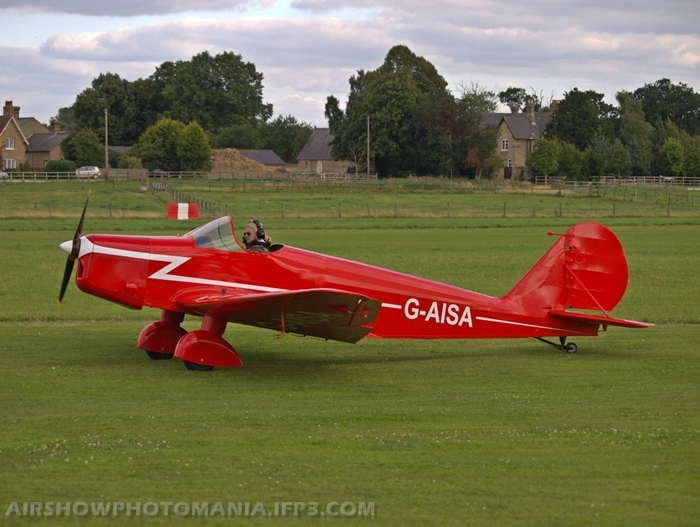 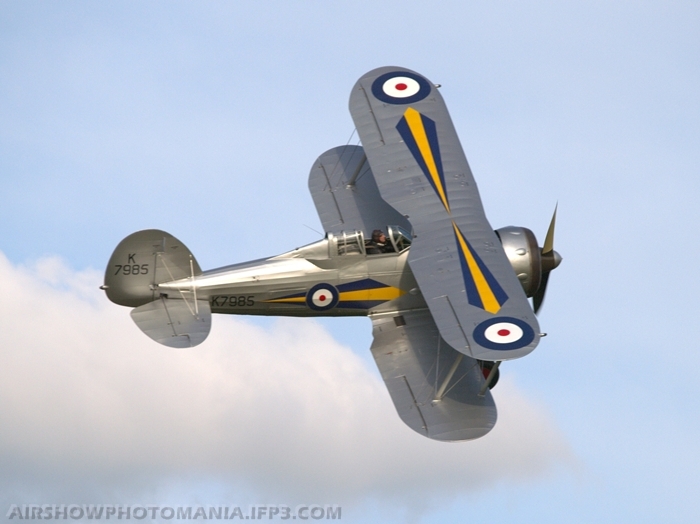 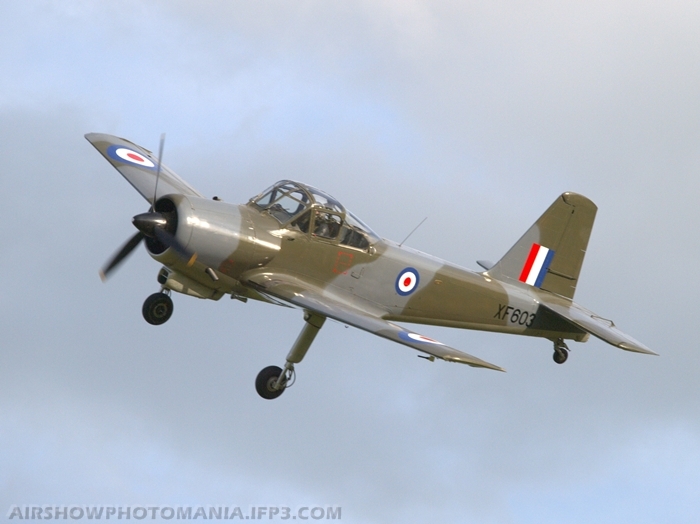 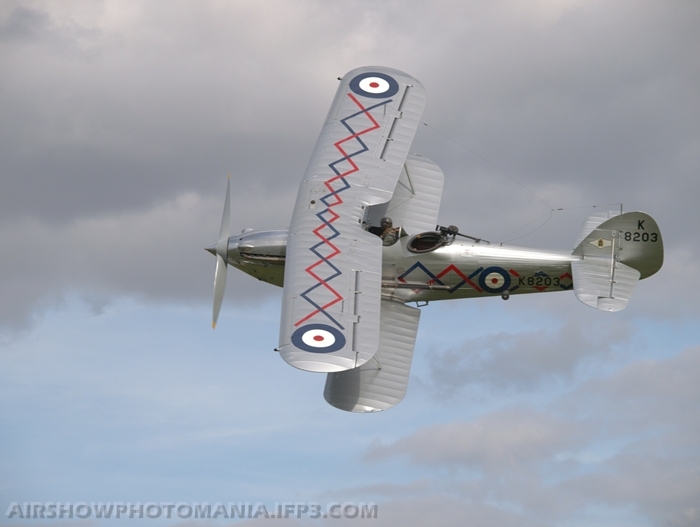 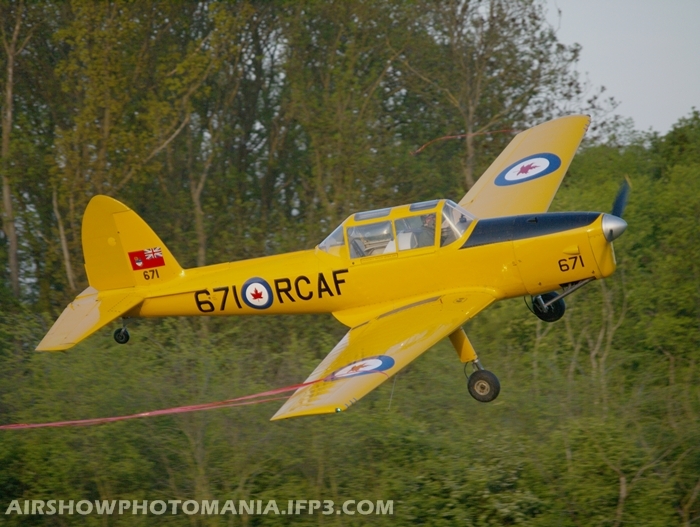 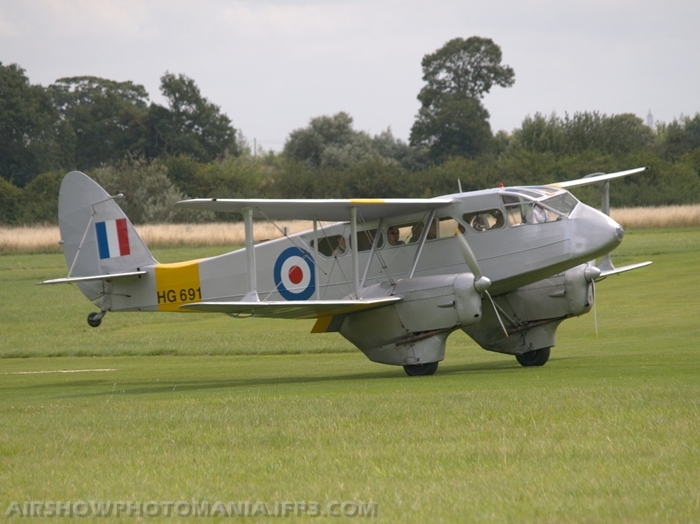 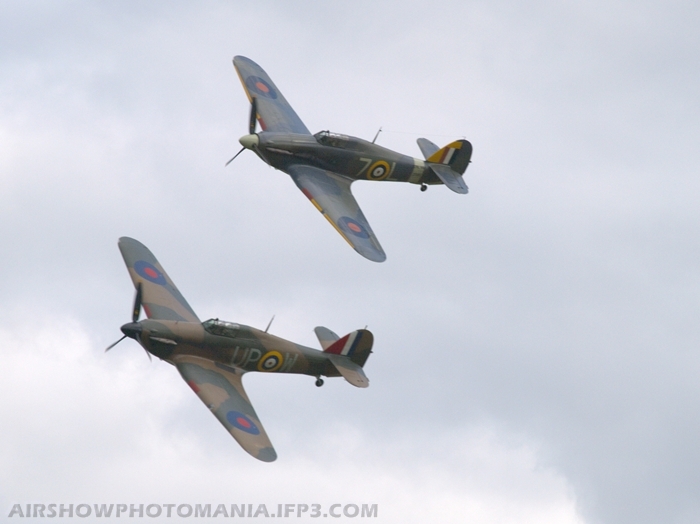 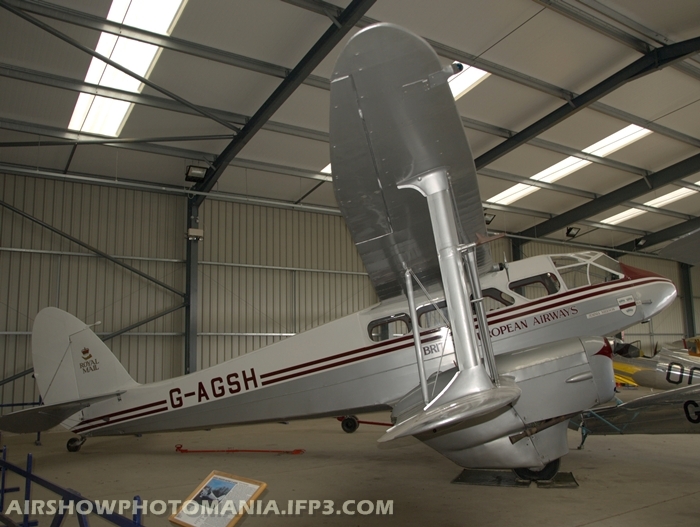 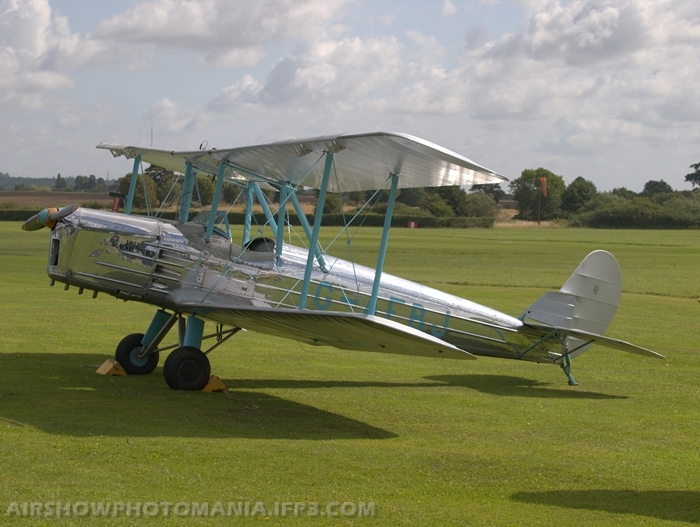 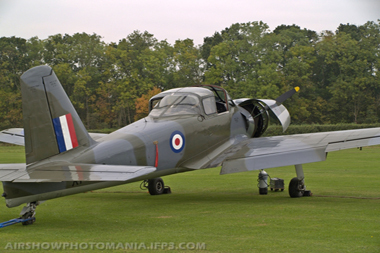 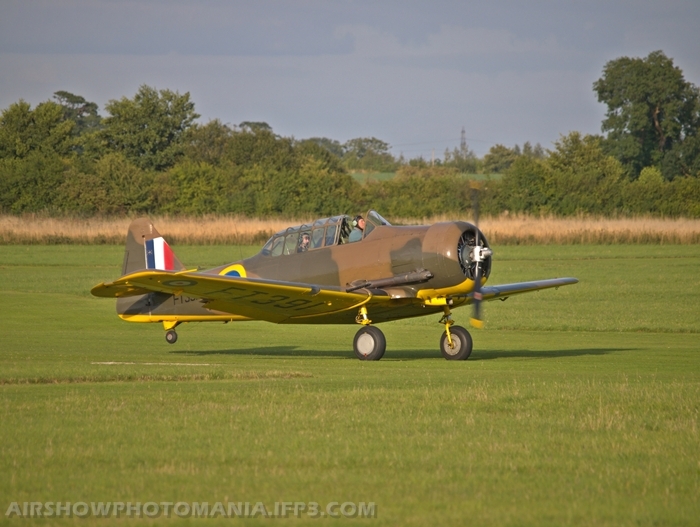 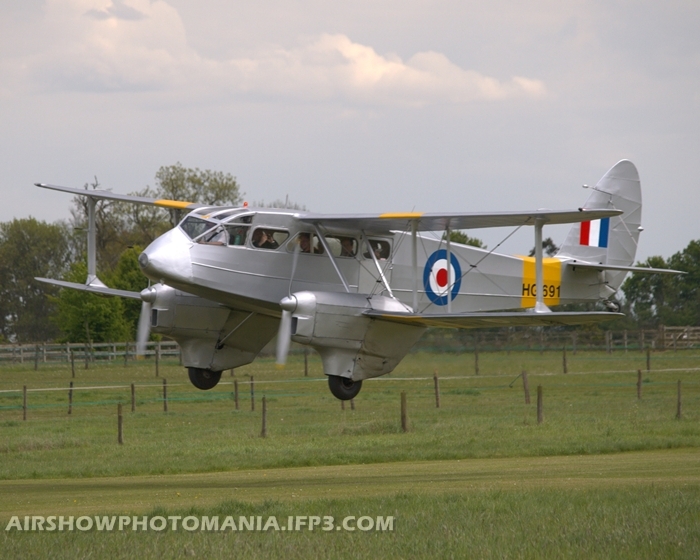 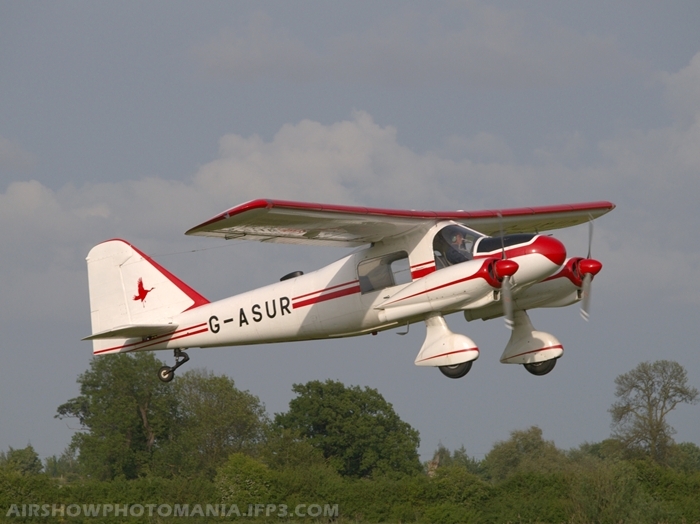 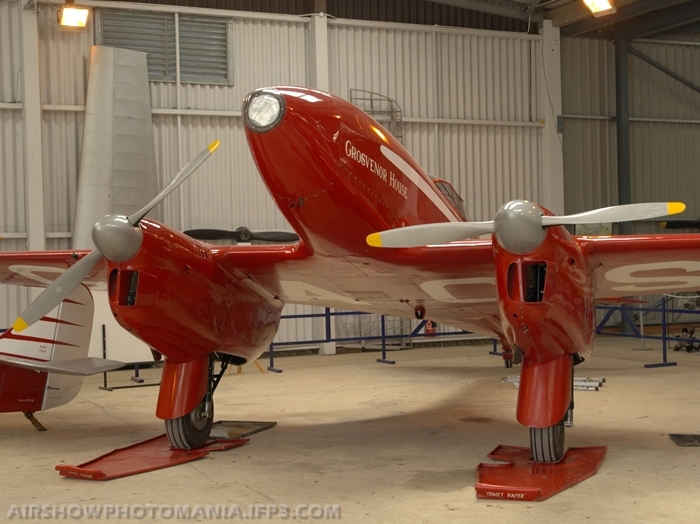 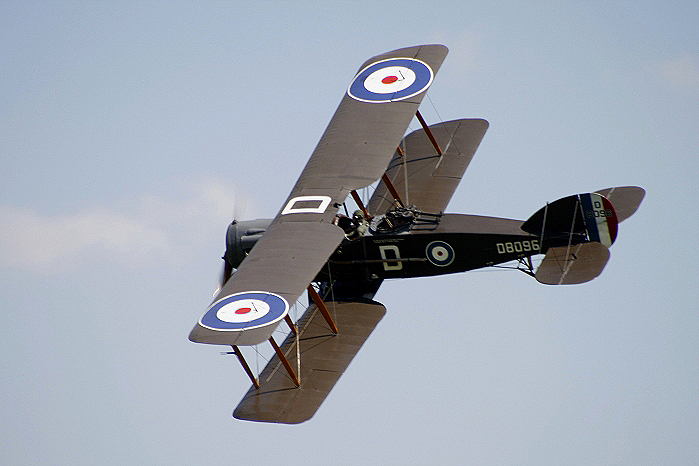 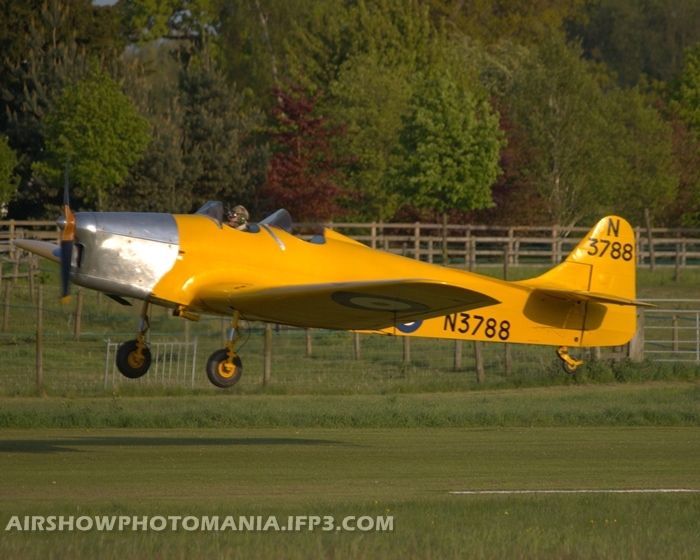 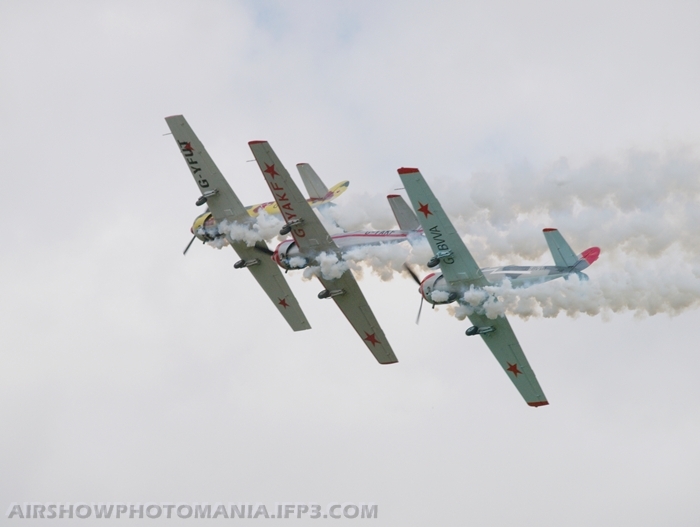 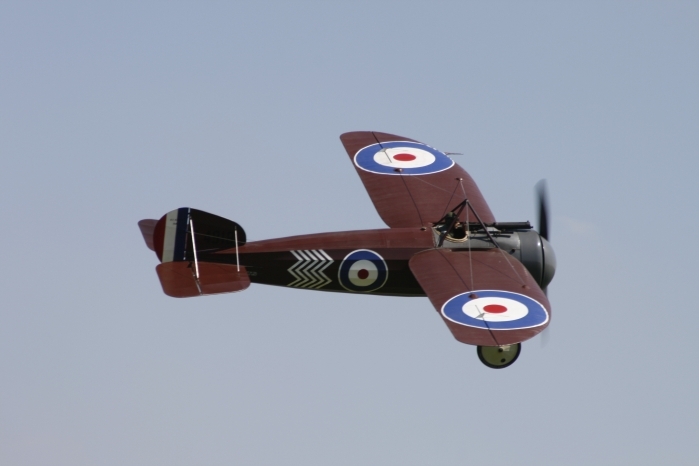 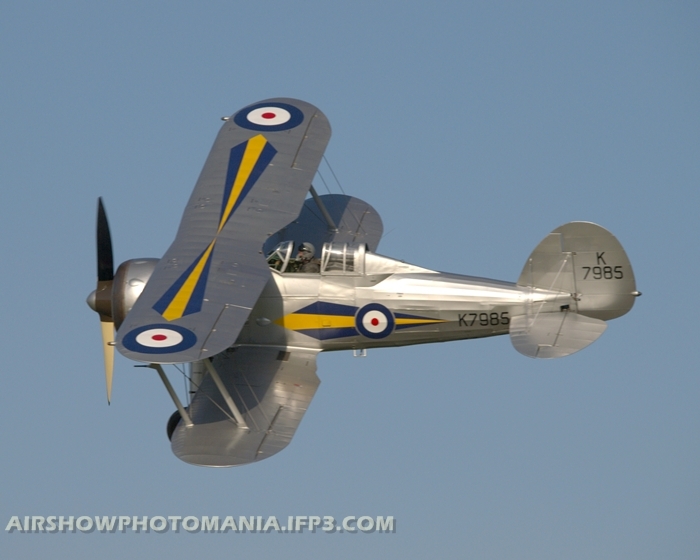 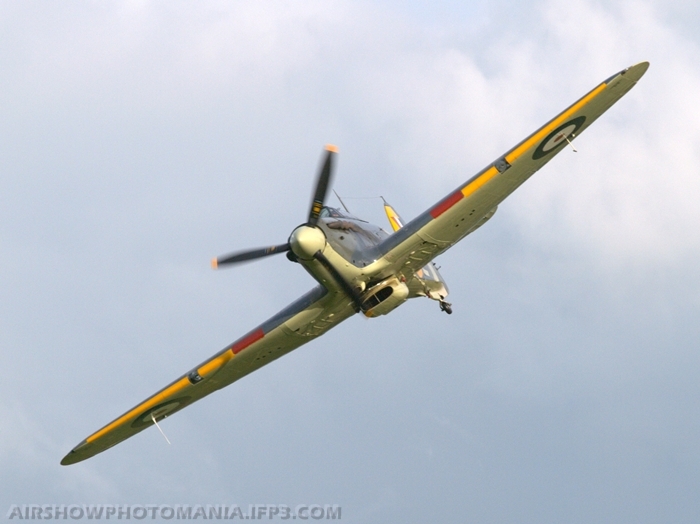 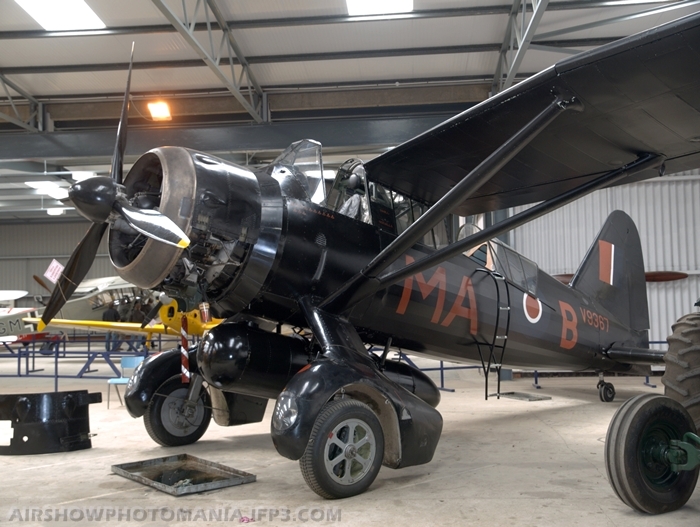 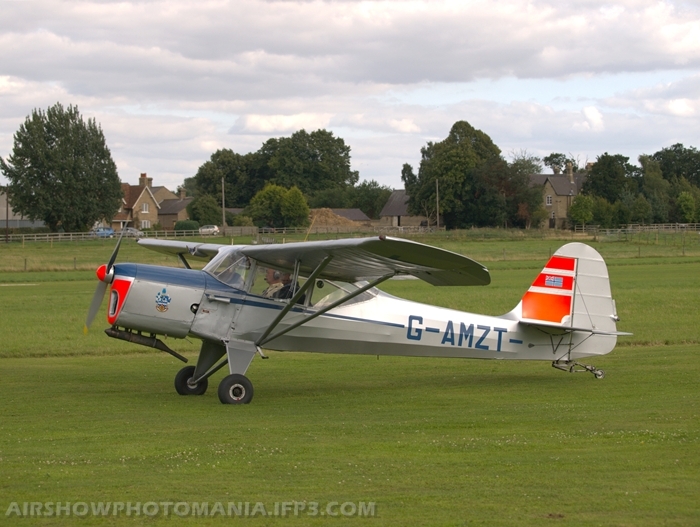 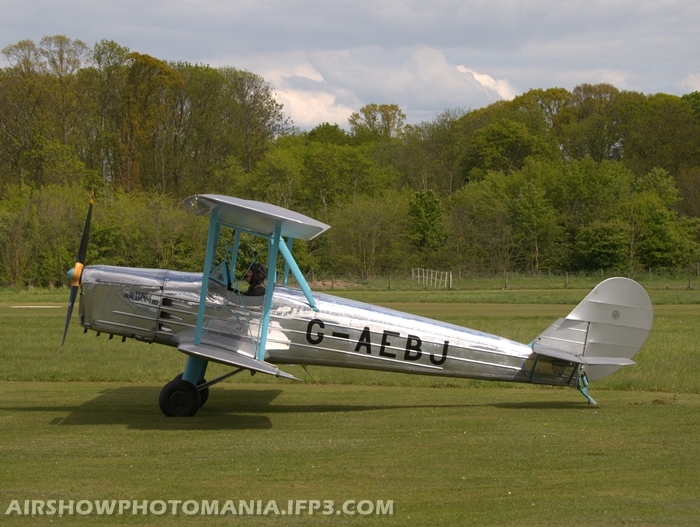 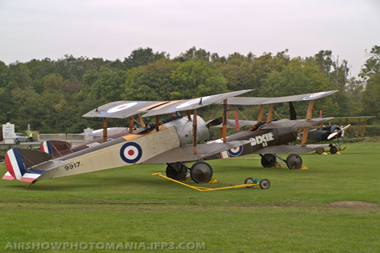 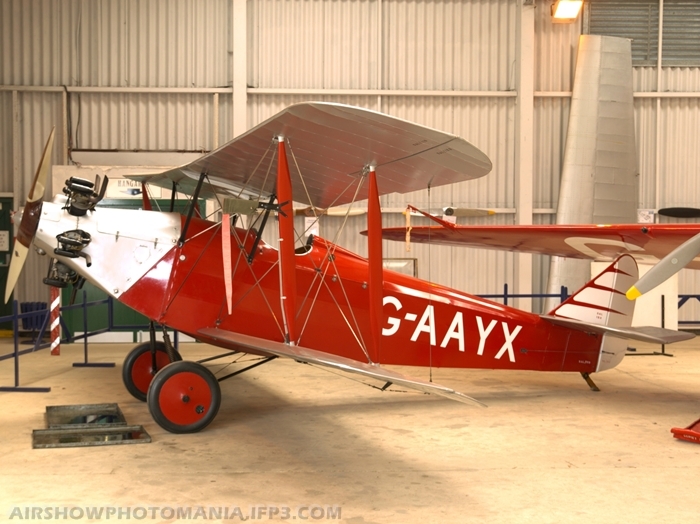 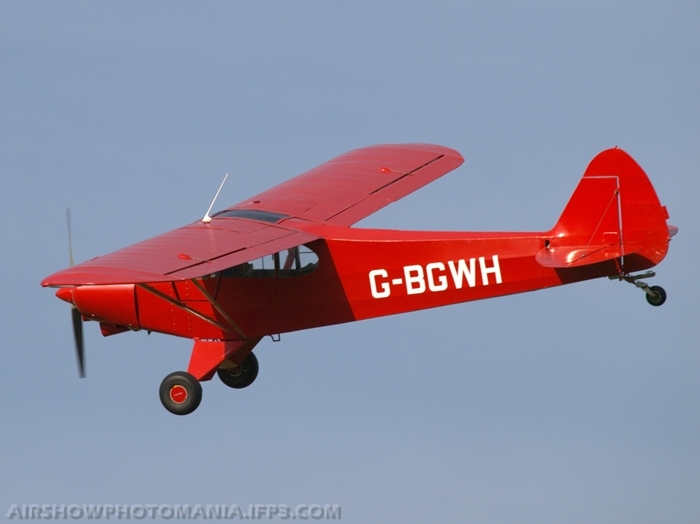 The last air display for the Shuttleworth Collection was held at Old Warden on 7th October 2012. 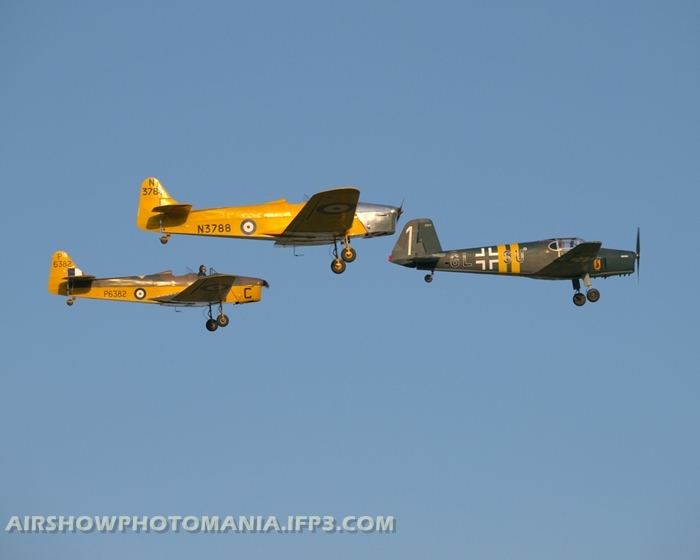 With a nice touch of mixed aircraft that brought the display season to an end. 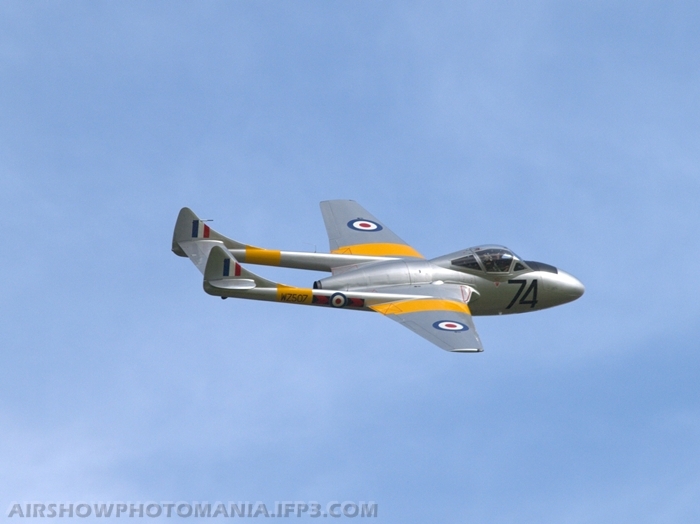 Cold war jets reunion was the theme of the day, entertaining the crowd with some superb flying were a pair of Gnats from North Weald and a de Havilland T.11 Vampire from the Classic Aviation Trust. Another jet supporting the show was a Jet Provost T3, which teamed up with the Piston Provost, and in a class of its own was the black Hunter flown by Chris Heames. 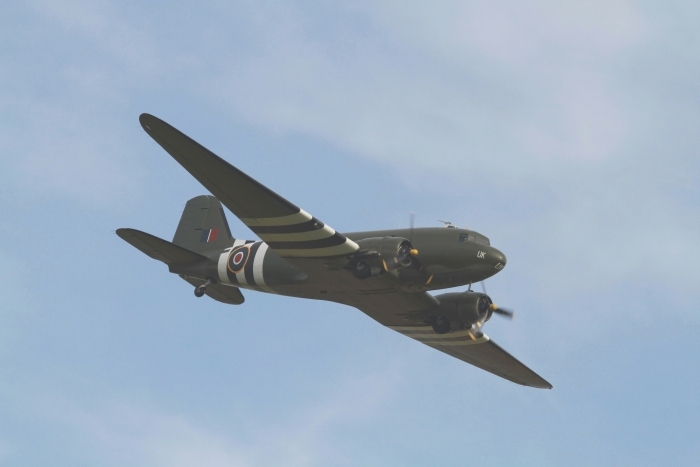 Another visitor on the day was the BBMF Dakota. 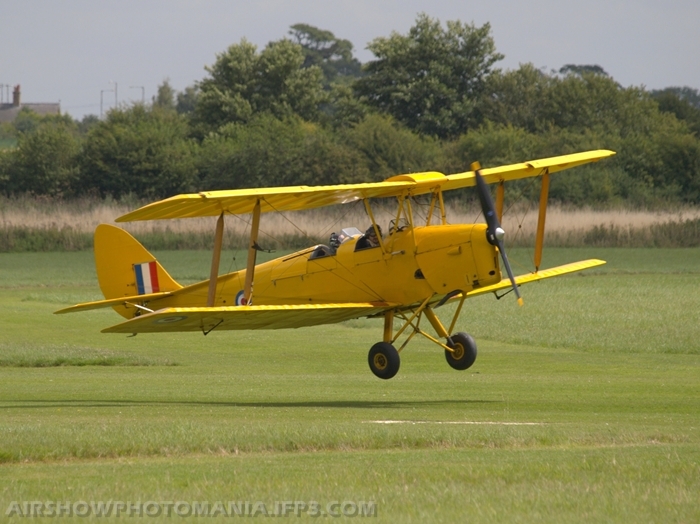 On this autumn day the collection of Shuttleworth aircraft, a Hawker Hind, de Havilland DH.60x and the Comper Swift (flown by Pete Hackett) showed a smooth display. 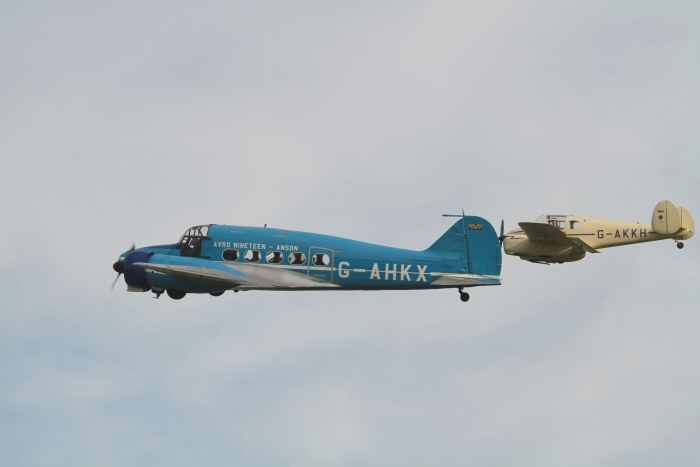 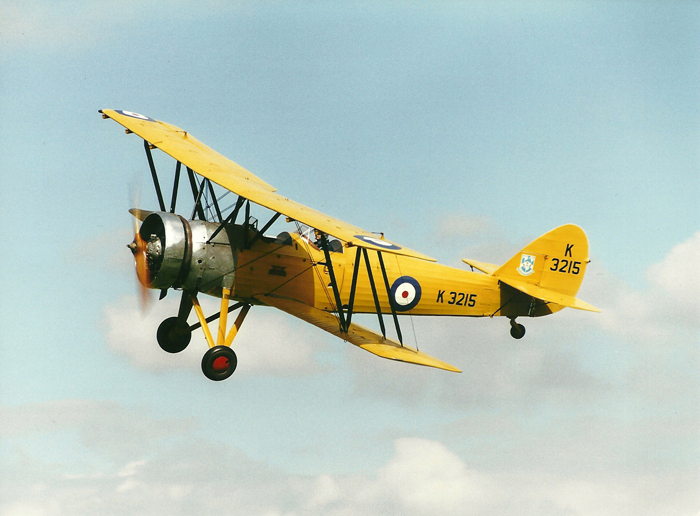 The Miles Gemini and the Avro Anson C.19 flew as a pair, then into a solo display. 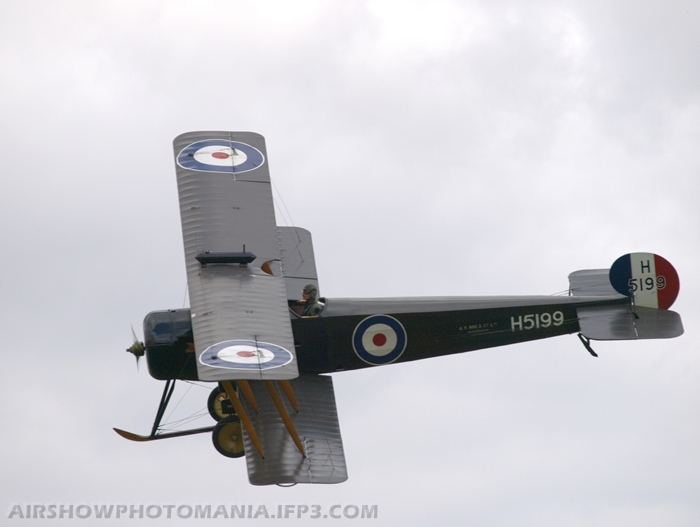 Bringing to the end of the day was the Blackburn Monoplane. 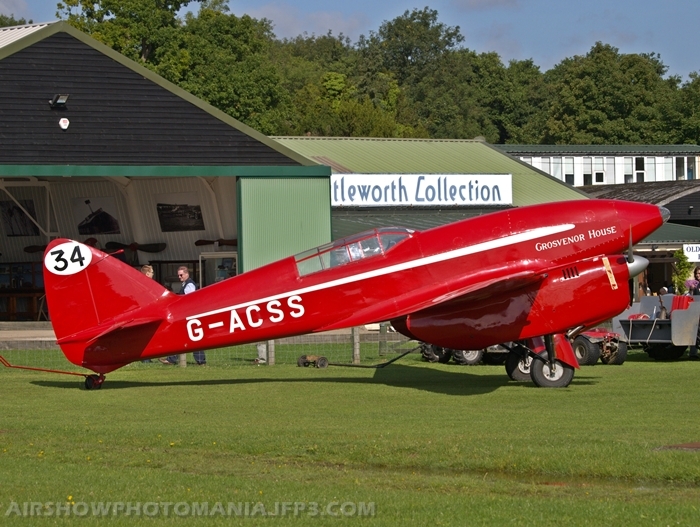 Shuttleworth should be proud of themselves for an outstanding day. 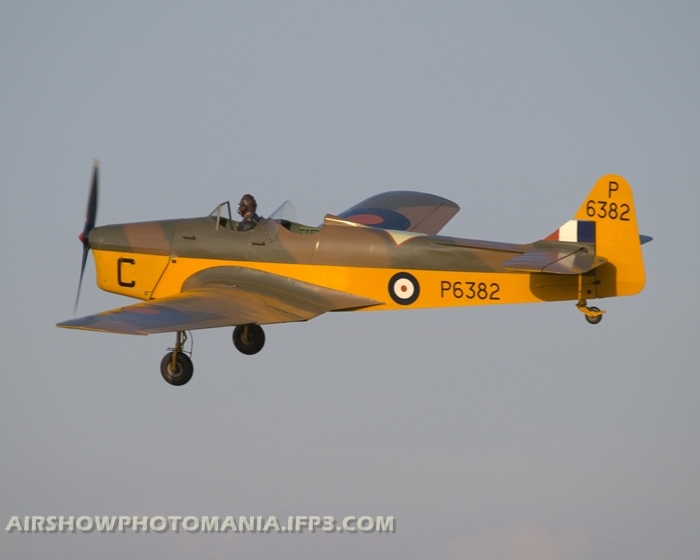 The first sunset display of the year was blessed with sunshine and light winds. 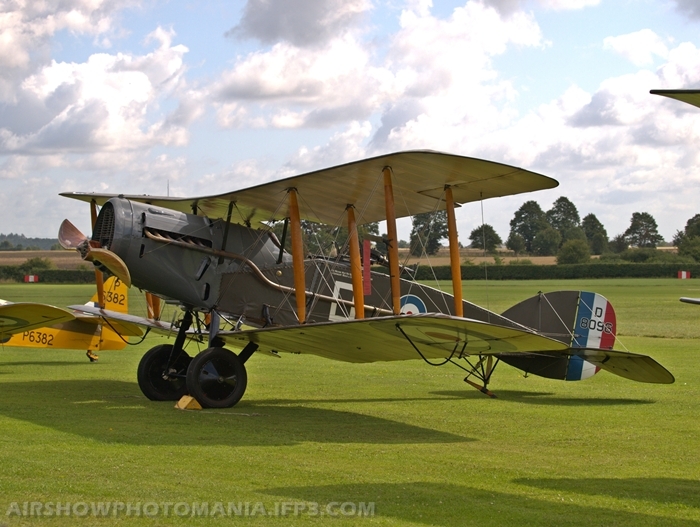 A good crowd and a varied selection of aircraft from visitors and the home based Shuttleworth Collection. 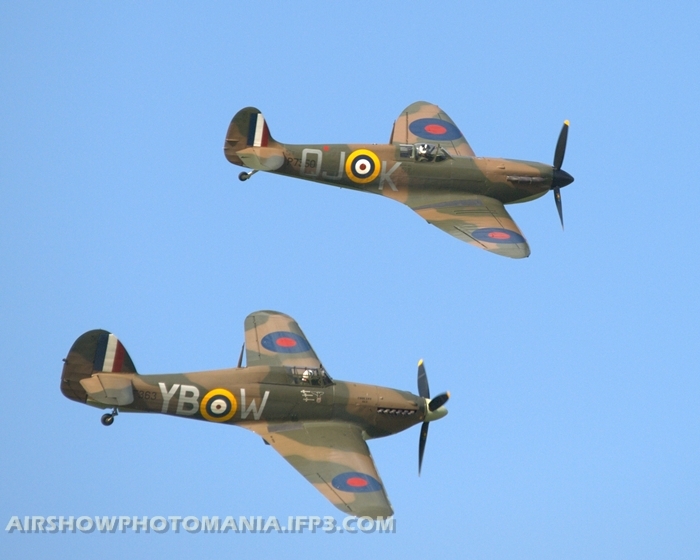 Among the visiting aircraft's displays were The Battle of Britain Memorial Flight's Spitfire P7350 and Hurricane LF363, which were flying in close formation. 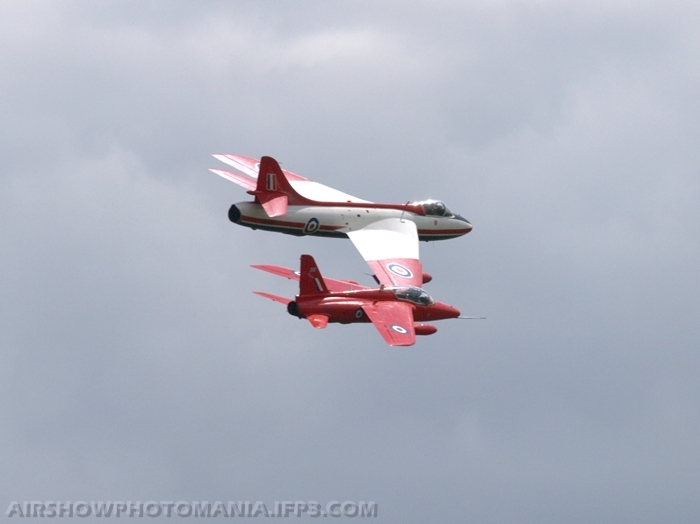 With a superb display by Mark Linney in the North American F-86 Sabre, which may be possibly one of the last displays for this aircraft before leaving these shores. 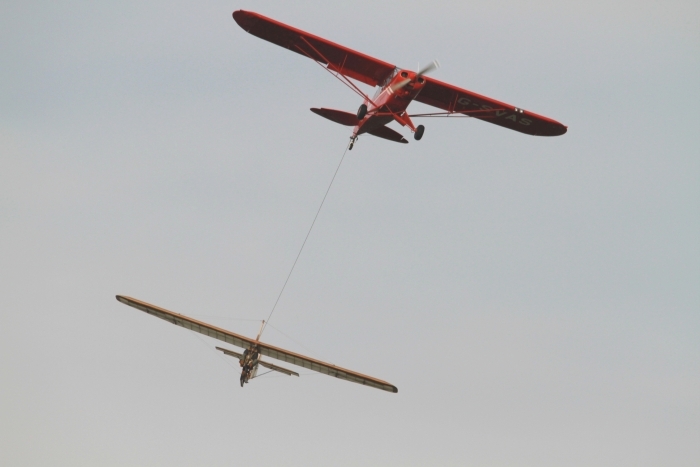 There was a graceful and excellent display by the Göppingen Gö 3 Minimoa Sailplane. 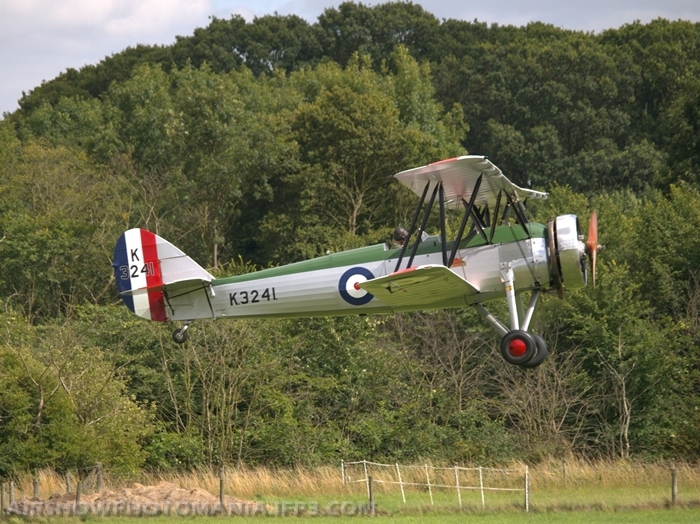 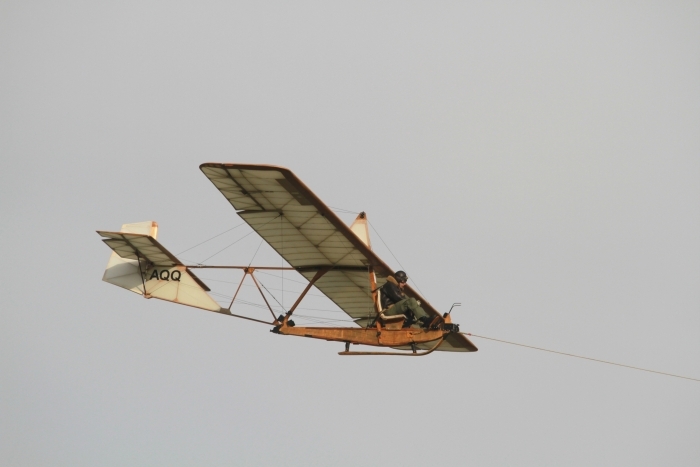 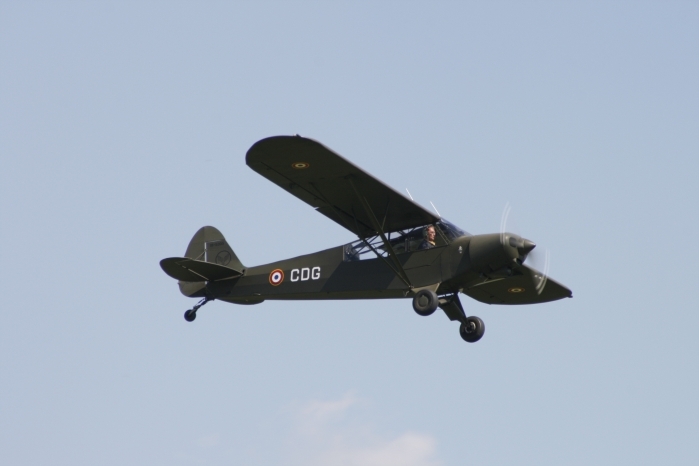 The final visitors display was by Michael Pickin in his Bucker Jungmann. 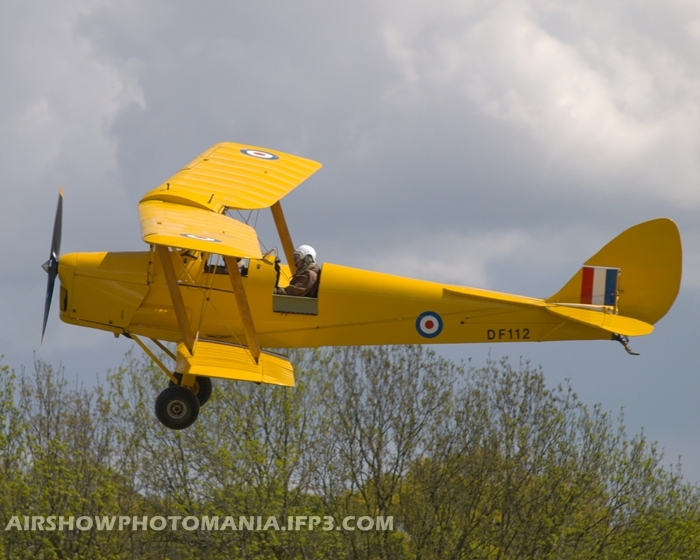 It was a superb display by Michael, who gained his PPL on the Jungmann and is one of the youngest pilots in the UK to hold a display authorisation. 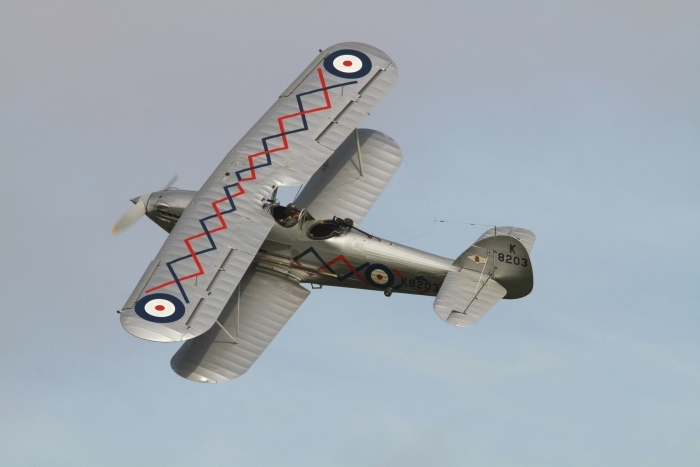 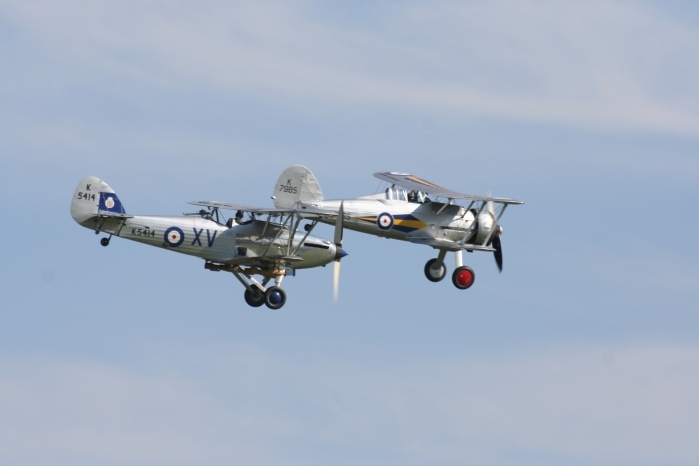 Amongst the home team displaying were the Hawker Hind and Gloster Gladiator flying together. 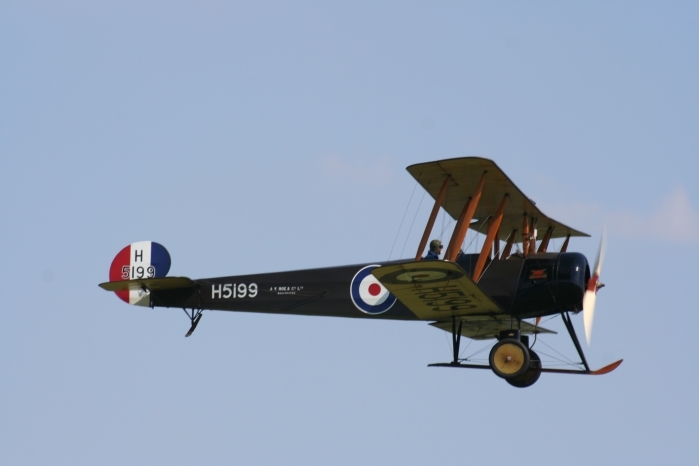 Appearances from the Sopwith Pup, Sopwith Tri-Plane, RAF SE5b and Bristol F2b Fighter. 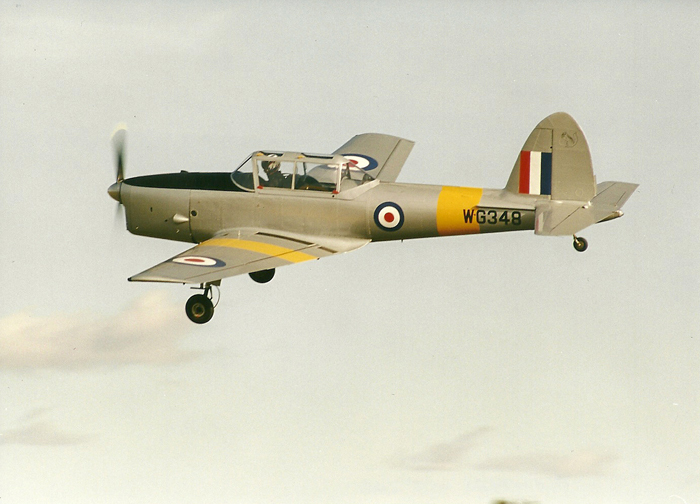 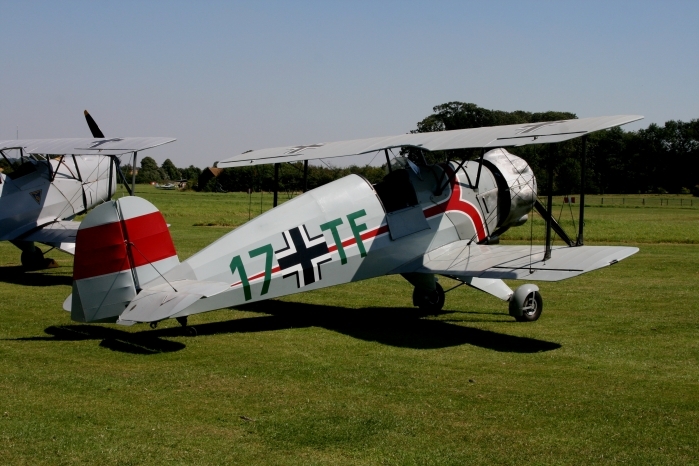 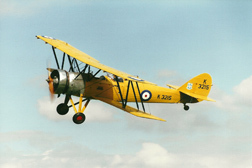 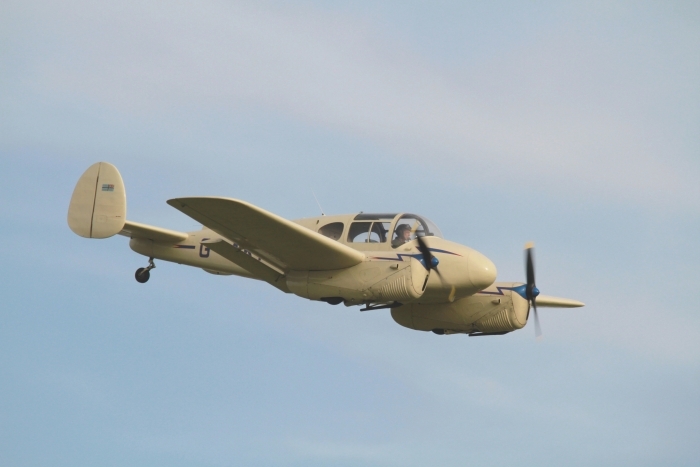 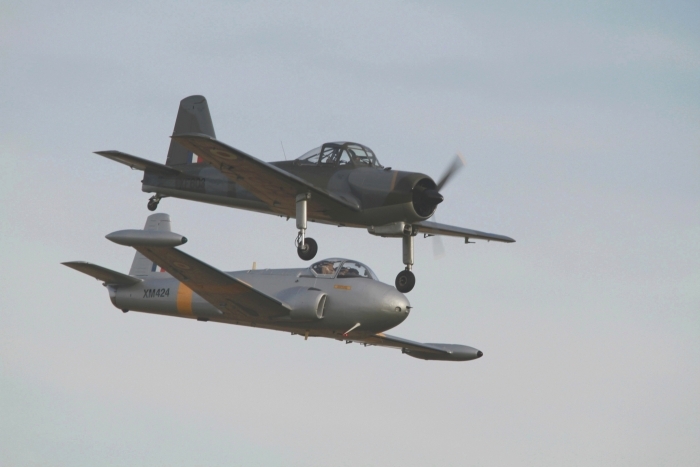 The two Miles Trainers flew in formation with the Bucker Bestmann, this was flown by Peter Holloway, before the aircraft goes to a new home in Germany. 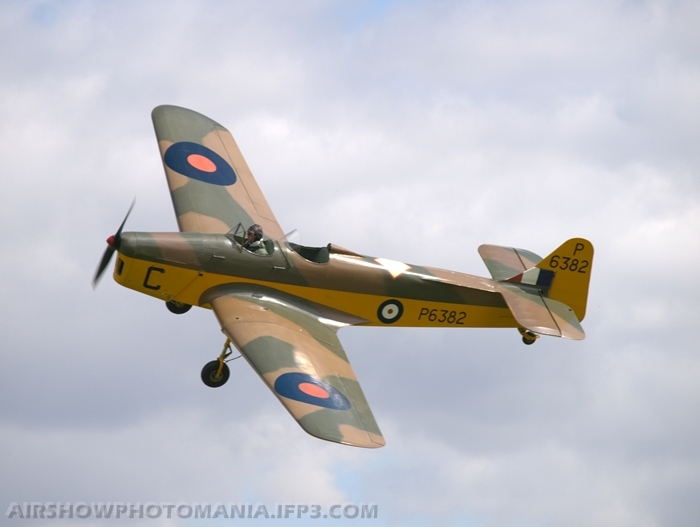 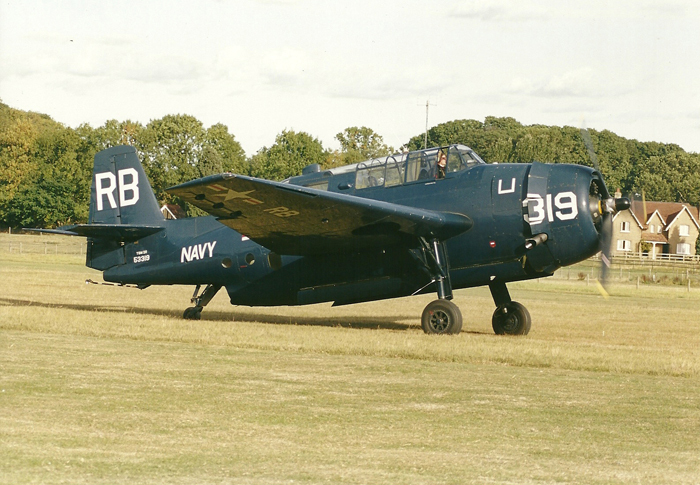 There were displays by the Avro Tutor, Hawker Tomtit, Blackburn B2, Percival Provost and a pair of Ryan PT-22s. 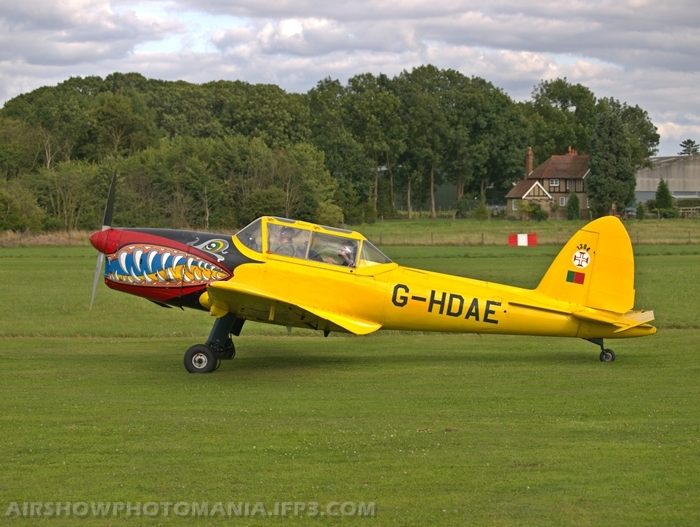 The Chipmunk put on its usual antics of ribbon cutting. 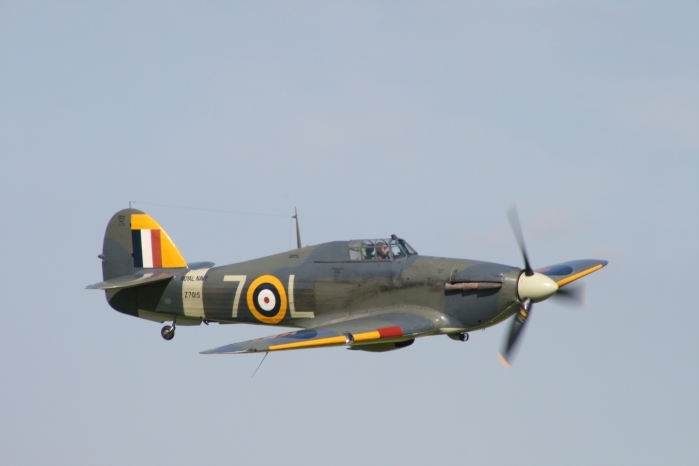 As usual the Sea Hurricane put on a great display flown by Sir John Allison, as did the Westland Lysander. 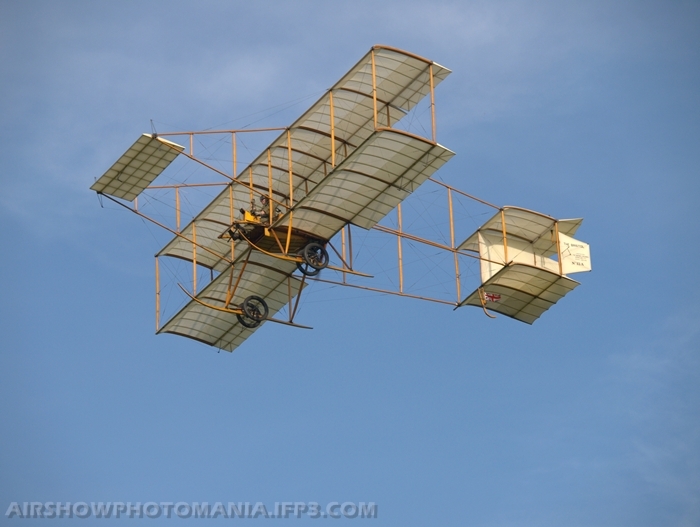 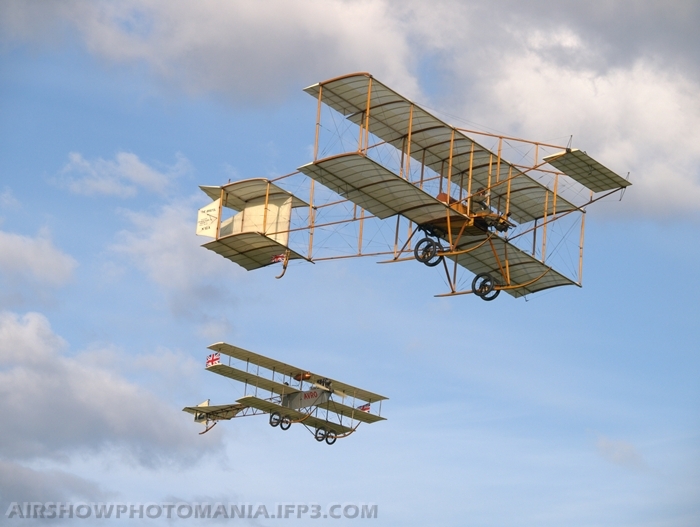 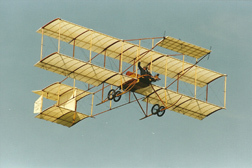 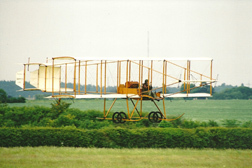 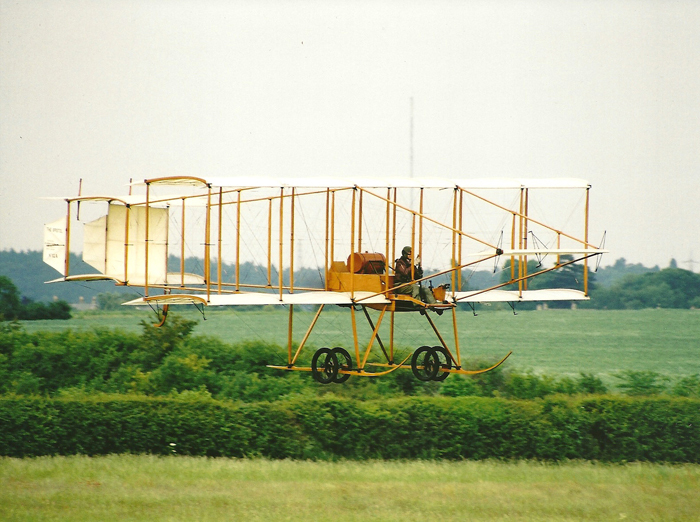 The evening ended with the Edwardian aircraft displaying as the light faded. 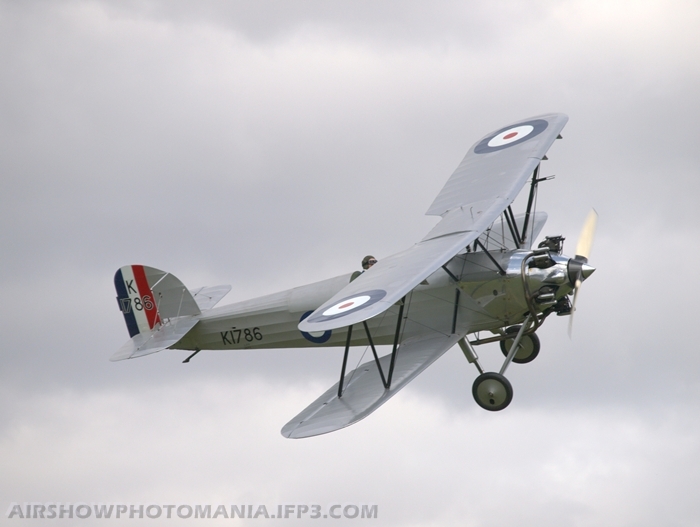 It is worthwhile visiting Old Warden for all the displays, another great day and an outstanding air display. 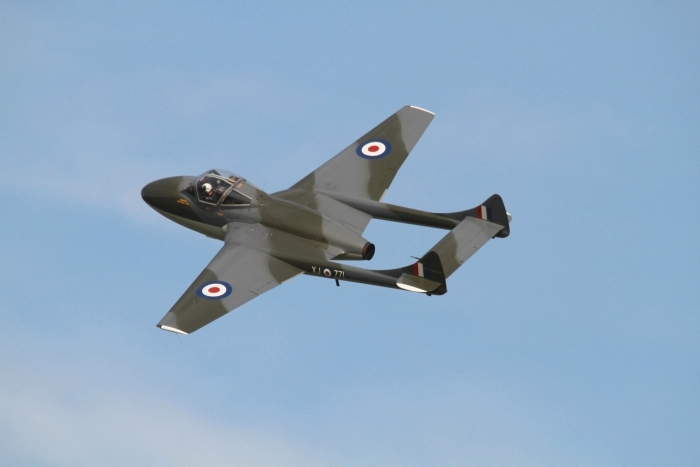 Old Warden's August Air Show was graced with the sound of classic jet engines, with the welcome appearance of The Gnat Pair, the Hunter FGA9 and Vampire. 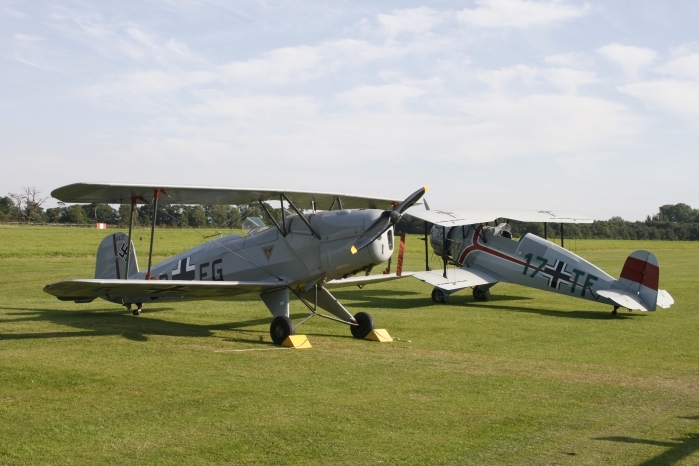 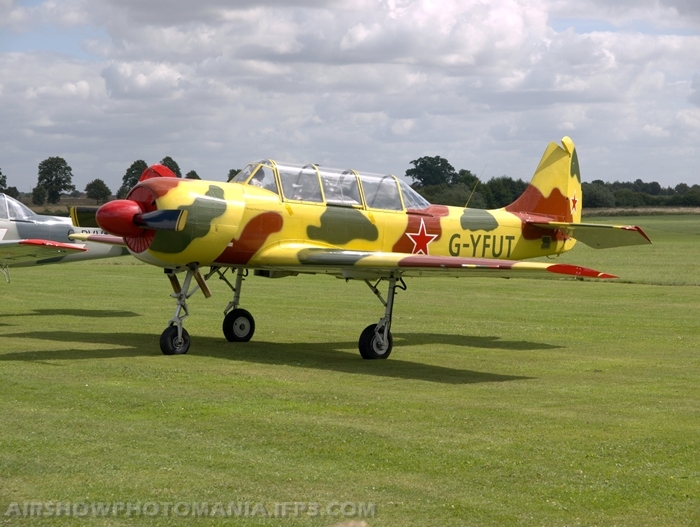 These aircraft (even some of them in the region of fifty years old) are mere youngsters compared to the more sedate aircraft usually seen at Old Warden. 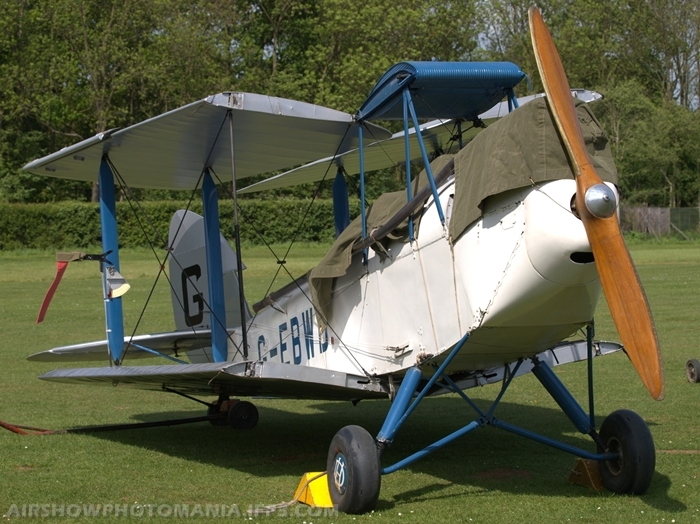 Some of the other aircraft attending the August 2009 event were the Auster J/5F Aiglet Trainer, Blackburn B-2, Roe I Triplane replica, Bristol F.2B Fighter, Hawker Tomtit and Tipsy Trainer. 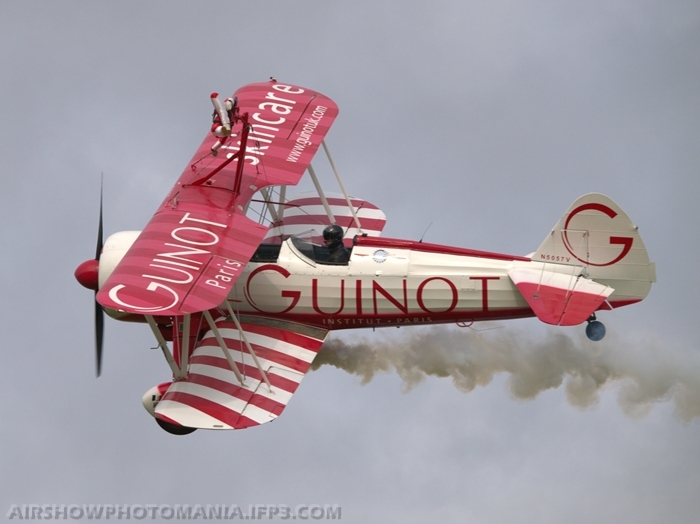 As Team Guinot run in to Old Warden, that familiar sound of the big Pratt & Whitney radial engines (which power these aircraft) reverberates around the airfield. 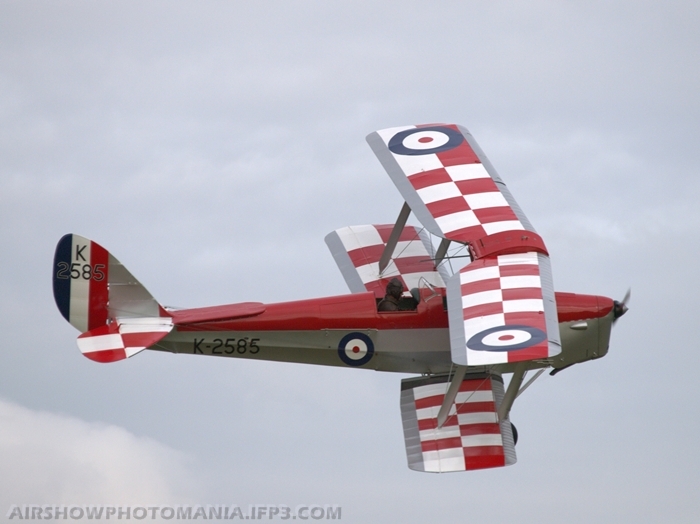 These aircraft always put in a well coordinated display with their wingwalkers doing synchronised aerobatics throughout the display, always a big favourite with the crowds. 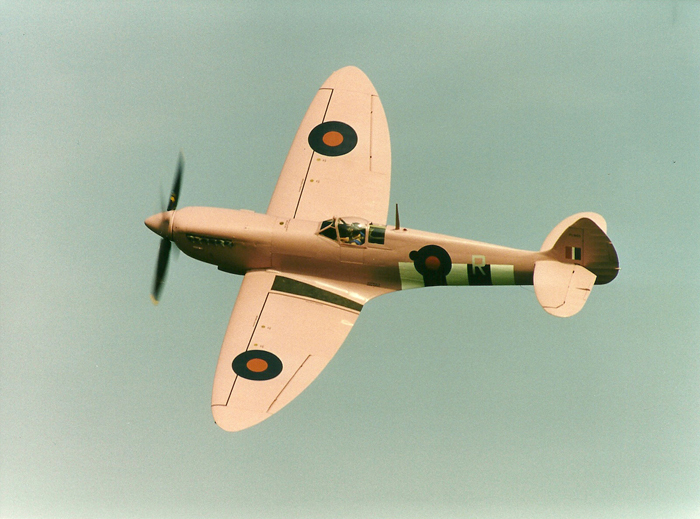 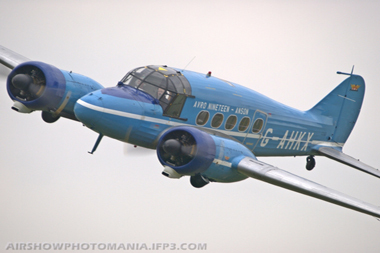 Other aircraft participating in the May Air Show were a de Havilland DH-88 Comet, Dornier Do-28A-1 Skyservant, Miles M-3A Falcon Major and Southern Martlet. 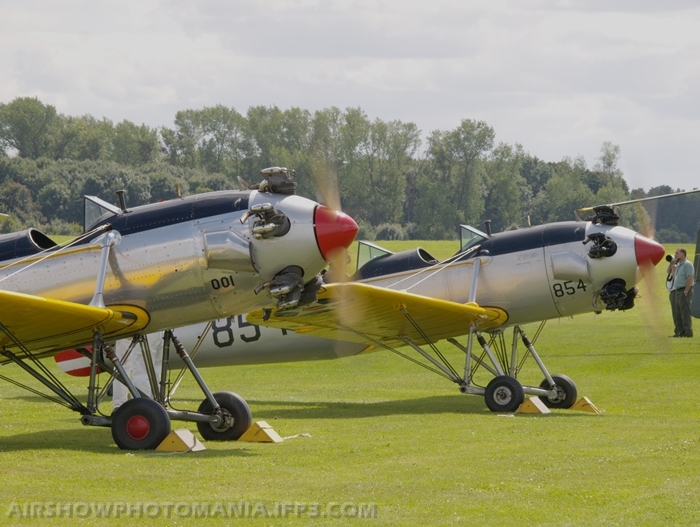 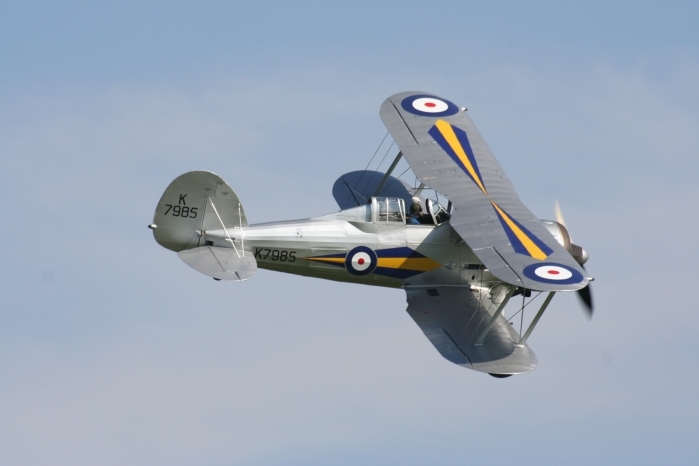 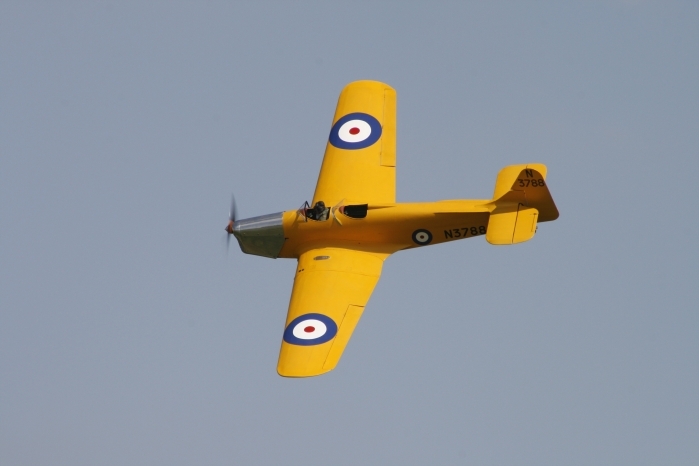 Old Warden is mostly associated with sedate wartime or pre-war biplanes and as well as The Shuttleworth Collections aircraft, other visitors from around the country make Old Warden Air Show a truly vintage affair. 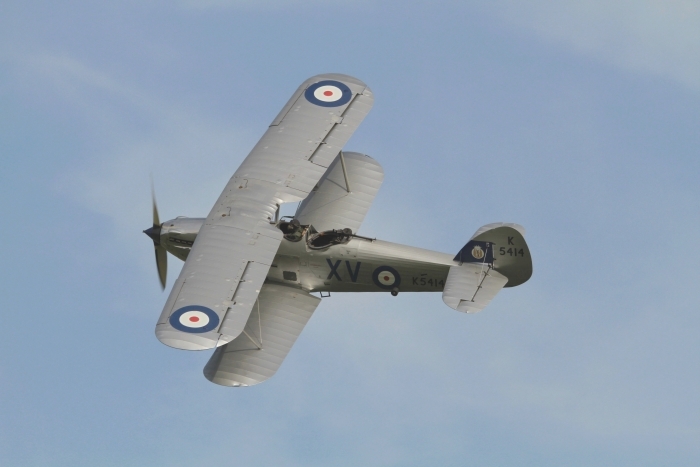 From the Sopwith Triplane replica, Avro Tutor and de Havilland Tiger Moth to Old Warden's own Hawker Sea Hurricane which is undoubtedly one of the fastest aircraft to be seen on the day.